Careful of rear end collisions!, a photo by martynjbull on Flickr. 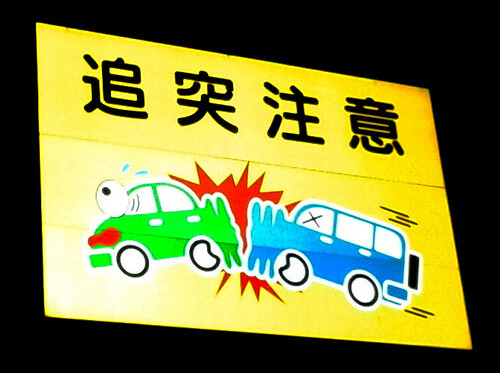 Careful of rear end collisions! This road sign is above the expressway in Tokyo near Wako. I can’t decide if the eyeball belongs to the driver of the green car or the blue car. UK road signs are so dull in comparison!